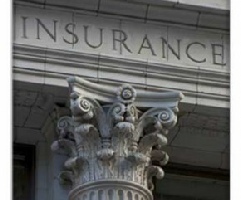 RSG offers a wide range of consulting services to the insurance and reinsurance industry. With an experienced IT staff, we can provide project management, systems design and development, and data conversion to your company. With over 50 successful system implementations and numerous system development projects, RSG provides the skills necessary to assure that a project is completed on time and meets or exceeds the expectations of our clients. With a multitude of insurance and reinsurance system designs and development projects, RSG provides low cost software solutions to meet your company’s business objectives. RSG specializes in the following skill sets: Visual Basic (VB6 and VB.NET), Visual C++ (MFC and ATL), ASP.NET, Windows DNA, COM using VB, MTS, MSMQ, SQL Server, Oracle, Access, and D3. With an experienced staff that has been involved in project management, major system implementations and conversions, and system design and development in a variety of environments, RSG can provide the support a company needs to complete any IT project regardless of size.